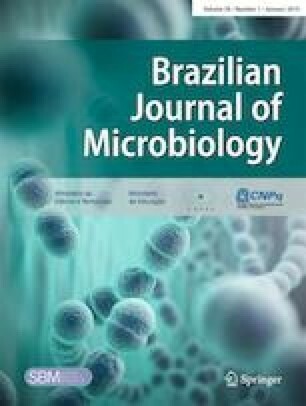 The retrospective study aimed to determine the prevalence rate and antimicrobial susceptibility of extended-spectrum beta-lactamases (ESBLs)–producing Klebsiella pneumoniae and Escherichia coli in 2013–2017 at a single center in China. Klebsiella pneumoniae and Escherichia coli data were collected from the microbiological laboratory. VITEK 2 compact system was used for the identification and antimicrobial susceptibility testing. ESBL status was determined as per the Clinical and Laboratory Standards Institute (CLSI) protocols microdilution method. Among a total of 2774 strains of Klebsiella pneumoniae and 2154 strains of Escherichia coli, 15.79% and 36.86% were found to be ESBL producers, respectively. In all patients infected by ESBLs-producing strains, those over 60 years accounted for the largest proportion. Infection by ESBLs-producing Klebsiella pneumoniae was more common in male, while that by ESBLs-producing Escherichia coli was more common in female. Urine and respiratory secretions were the most common sources of ESBLs-producing strains; however, ESBLs-producing strains from urine had been significantly declined. No carbapenem-resistant isolate was found, and all ESBLs-producing strains were resistant to ceftriaxone, aztreonam, and piperacillin. There were no differences in resistance rates between ESBLs-producing Escherichia coli and Klebsiella pneumoniae to ceftazidime and cefepime; however, ESBLs-producing Klebsiella pneumoniae showed higher resistance rates to piperacillin/tazobactam, amikacin, gentamicin, and co-trimoxazole compared with ESBLs-producing Escherichia coli. Different ESBLs-producing organisms have their own epidemiological characteristics, and the resistance of ESBLs-producing Klebsiella pneumoniae and Escherichia coli is different even to the same antibiotics. Therefore, it is important to continuously monitor the status of ESBLs-producing organisms, and an improved antimicrobial stewardship and infection control are much required. We thank Yanlei Li, a doctor of the laboratory medicine in the Second Hospital of Jilin University, for her imparting knowledge in the field of microbiology and the writing assistance. This study was financially supported by the Science and Technology Agency of Jilin Province [grant number 201603034YY].